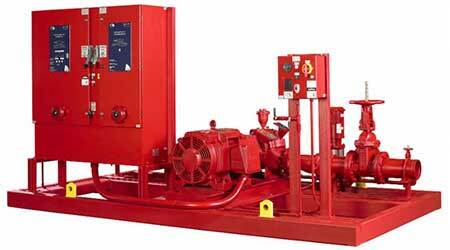 Armstrong Fluid Technology has enhanced its Fireset Horizontal Split Case (HSC) pump line with two new technologically advanced models. • Compact design (distance between suction and discharge flanges) for easier installation and maintenance in tight spaces. The Armstrong line of Fireset HSC Pumps offers a performance range of 500 USgpm to 3,000 USgpm.